The Royal Malaysian Air Force relies heavily upon STOL aircraft and helicopters to fulfil its mission of supporting the ground forces at remote jungle sites. 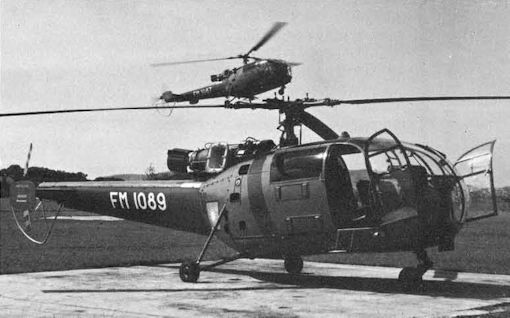 Alouette III helicopters (shown) have taken over this task from the Scottish Aviation Pioneers used originally. Sikorsky S-61A-4 Nuri as used by No 10 Squadron at Kuantan. Largest helicopters operating in the south-east Asia area are the 16 Sikorsky S-61A-4s purchased by the RMAF. 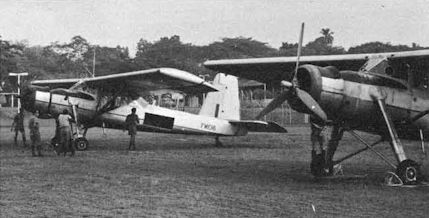 The RMAF's first aeroplane, Scottish Aviation Twin Pioneer FM1001, was named Raja Wali and was followed by 13 more of the same type. They have now been replaced in the transport role by Handley Page Heralds and DHC Caribou. For communications and VIP transport duties, the RMAF has purchased a series of aircraft from Hawker Siddeley, comprising the Dove, Heron (shown) and an HS 125. Scottish Aviation Twin Pioneers have now been replaced in the transport role by Handley Page Heralds (shown) and DHC Caribou. For communications and VIP transport duties, the RMAF has purchased a series of aircraft from Hawker Siddeley, comprising the Dove, Heron and an HS 125 (shown). For communications and VIP transport duties, the RMAF has purchased a series of aircraft from Hawker Siddeley, comprising the Dove (shown), Heron and an HS 125. The Royal Malaysian Air Force relies heavily upon STOL aircraft and helicopters to fulfil its mission of supporting the ground forces at remote jungle sites. Alouette III helicopters have taken over this task from the Scottish Aviation Pioneers (shown) used originally. For ground attack and light strike duties, the RMAF uses Canadair CL-41Gs.